A leading member of the European Parliament, who is calling for a worldwide ban on asbestos, has told HSR that “asbestos should be put beyond the pale globally”. Stephen Hughes, who has been a Labour Party member of the Parliament for North-East England since 1982 and is a long time campaigner for high health and safety standards, later amplified his remark when he told the Parliament’s Employment and Social Affairs Committee that “we still have a major issue with asbestos”. 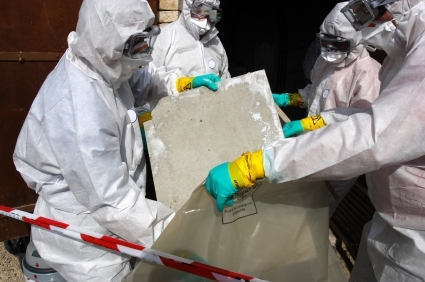 There are still millions of tonnes of asbestos in buildings. School children are, he said. being exposed to risk. And every year between 20,000 and 30,000 new asbestos-related disease cases are diagnosed. He expressed particular concern about exposing maintenance workers to asbestos. Many of the younger workers had, he said, no idea of what asbestos looked like and may be unaware when they are exposed to danger. Addressing the committee, the recently appointed director of the European Agency for Safety and Health at Work, Dr Christa Sedlatschek, who is an occupational physician by profession, said it is “never possible to guarantee safe exposure to asbestos”. Exposure to asbestos can, she said, cause mesothelioma, lung cancer and cardiac vascular diseases. Telling the committee that Russia and China are still “using asbestos without limitation”, Dr Sedlatschek added her voice to the call for a global ban. She also told the committee that “young employees have never seen asbestos before, so it is very hard for them to identify it”. She warned that risk assessments are not being carried out frequently enough and often are not following the correct methods.